The church of St. Andrew’s is situated at the very entrance of the Vasco city. Initially constructed in 1570AD the church was demolished by the soldiers of Adil Shah in 1578AD. The church was reconstructed in 1594 AD. The church once possessed a beautiful façade which was destroyed in 1950 AD, Due to which the church has a simplistic exterior but the interiors are decorative. Being one of the oldest churches of the city it is visited by members of all communities and is also a famous tourist attraction. Being one of the only two Naval Aviation Museums of the country, this particular museum was built in 1998. 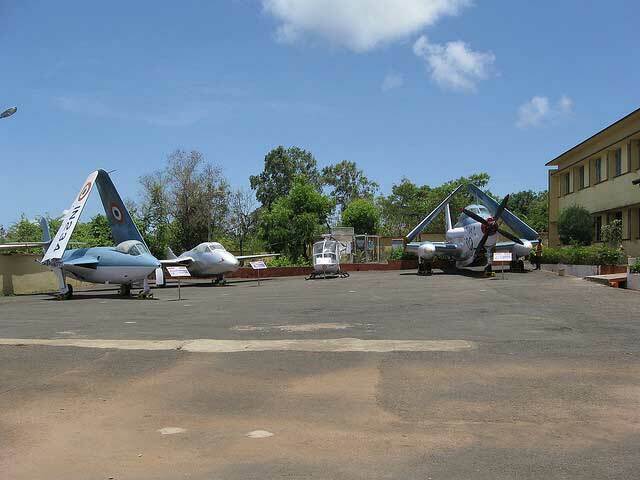 The museum displays the progression of the Indian Naval Air Arm over the years. The museum is subdivided into two parts, one being the outdoor exhibit and the other is the indoor exhibit. The indoor exhibit is a double storeyed gallery and focuses on the stories and evolution of the Indian Air and Naval forces. It also displays some important vintage documents that are of prime importance and hold some valuable historical records. The outdoor exhibit is more like a park rather than a museum. Because of the artefacts being huge they are kept in the outdoor so that visitors can have a close look. The museum is one of its kinds in the entire continent. The Japanese Garden stands on the site where once Fortaleza Santa Catarina stood and the ruined walls of the place still make their way through the garden. Being situated on the edge of Mormugao Ridge, the gardens offer a breath taking view of the Arabian Sea and the islands standing amidst the sea. A little beach is also situated at walking distance from the garden and derives its name from the Garden. The beach is usually empty and offers a beautiful view of the hillside as well. The garden is well maintained and people usually come here either for leisurely walks or gazing at the Arabian Sea below. The clean, unexplored and a secluded beach of Goa, Bogmalo Beach is undoubtedly amongst the best beaches of Goa. Though the beach is commercialised but yet the commercialization hasn’t taken a toll on the natural beauty of the area. The shimmering silver sands and the sun kissed waters will mesmerize you. With bigger waves hitting the shoreline the place is also famous for diving activities. The beach is also well known for offering some lip smacking Goan delicacies. The beach is a quiet and a smaller beach as compared to the other beaches of the state. 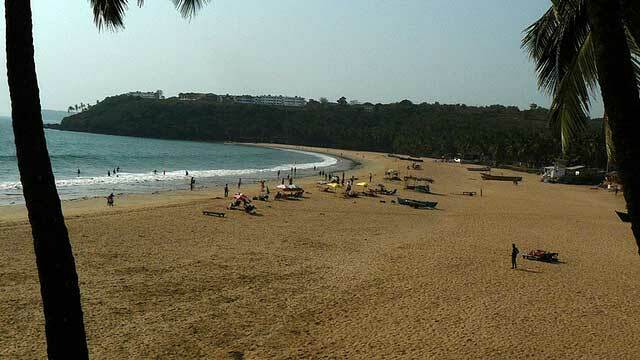 Unlike other beaches of Goa, Issorcim Beach has a flat surface and is favourable for water activities. The commercialization of the beach hasn’t taken place yet which makes it one of the cleanest beaches of the area. With the pristine waters and minimal crowd to share the beach with, the place has an aura that brings you closer to nature. Being an important port city of India, Vasco Da Gama is richly blessed with natural beauty. If you want to experience the quieter yet mesmerising side of Goa, Vasco Da Gama is the place to zero in.